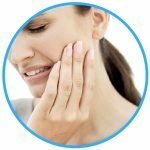 If you are experiencing tooth pain, it is likely that you don’t feel like searching for hours to find a dentist that is available. Before you just bite down and bear the pain, take a moment to check out the list of emergency dentists in Miami, FL below. You will be able to quickly identify 24-hour offices, walk-in clinics, and after hour facilities. When you find yourself in need of dental relief you can turn to any of these options, or you can make one phone call to our 100% free referral service, 24 hours a day, 7 days a week! This is such a great website, full of helpful information and their hotline staff is amazing. They helped me find a dentist right in my neighborhood and it only took a few minutes on the phone! Many dental offices are only open Monday through Friday and they close by 5:00 pm, which is the time most people get off work. Fortunately, there are alternatives options. The first one is a Miami 24-hour emergency dentist. These dentists work around the clock and can alleviate your pain in no time. The second option is to visit an after-hours dental office. These offices are open until about 9:00 pm usually and you may or may not need an appointment, depending on the office. Some of these clinics also allow walkins, without needing an appointment first. If you have tooth pain, the last thing you want to do is spend hours trying to locate a remedy or a dentist nearby to help you. Fortunately, we have taken the hard part out of the process for you, and have provided a list of 24-hour emergency dentists in the Miami area below. Description Call to be connected with the perfect dentist for you. 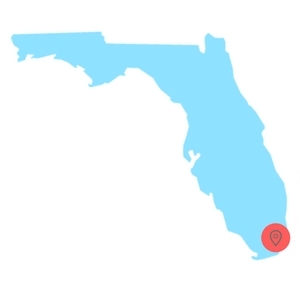 Miami is a large city and we have the connections to find a dentist to fit your needs, and can get you an appointment immediately. You can get emergency dental help in Florida fast. Description: The Castaneda Family Dentistry center lists on their website that they are open 7 days a week to emergency dental patients. Make sure to call ahead to get an after hours dentist appointment for whatever your needs may be. Description: The Miami Dentistry Center has great hours, they are open til 9pm Monday through Thursday, that means it’s easy to get into this walkin dentist after work! Also they have amazing Saturday dentist hours from 9am to 3pm. You can’t go wrong with this urgent care dentist clinic, they welcome all new patients! Description: Dr. Tobon’s clinic is open nights and weekends to better serve their patients. He’s perfect for children and adults for all dental care needs. You will find that he is patient, caring and highly intelligent. Description: This dental clinic lists on their site that they have emergency services and their phones are on 24-7. Call the emergency number listed below to setup an after hours dental appointment. Description: This Miami emergency dentist provides cosmetic care, including teeth whitening, crowns, implants, porcelain veneers, tooth extractions, general check-ups, maintenance and more. Doctors: Dr. Robert G Singer is a MDA provider of top-notch after hours dentist care services to help people when they need it. Call this after hours dentist in Miami, FL for more information about his services. Visiting a local emergency dentist is similar to visiting your general dentist’s office. Make sure that you provide all relevant dental insurance information if you have any. You should also ask what payment methods are accepted, as some offices do and do not accept checks, cash, and credit cards. Typically, payment is required before service is rendered to you. When you arrive at the emergency dental office in Miami, you will need to fill out paperwork that details your medical and dental history. If you are allergic to any medications, you should inform the dental office immediately to ensure that they are prepared to handle your needs. Also, if you have dental anxiety, you should let the dental office know so they can go over your sedation options with you. There are many different dental conditions that can warrant an emergency and some of these issues arise quickly while others will take time to form. No matter what dental emergency you may be dealing with, you will need to be seen by a dentist. If you wait, you can cause permanent damage to your tooth or the surrounding teeth. Toothaches can occur because of tooth decay, trauma to the mouth, or even when food gets stuck in between them. It is important for you not to mess with the tooth too much if it does hurt you. You should rinse your mouth out with water and then attempt to floss the tooth that is irritated to make sure no food is stuck around it. If you are experiencing a lot of pain, you can take an over-the-counter pain killer or place a compress on your cheek. Do NOT place aspirin on the tooth, as it can burn your gums and cause further complications. 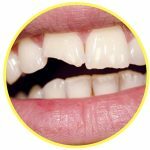 If you have a chipped or broken tooth, it may have been caused from trauma to the area or you may have accidentally bit into something that was too hard. The first thing you should do is save any pieces of the tooth that you can, and then rinse out your mouth to remove any remaining pieces. If your mouth is bleeding, take some time to place gauze on the area and apply pressure to stop the bleeding. In addition, you can place a cold compress on the exterior of your mouth to prevent swelling. If you have an object caught between your teeth the first thing you want to do is try to floss your teeth to remove the object. Do not be too forceful with the floss, as you may cut your gums or wedge the object further down between your teeth. You should never place sharp objects between your teeth, as you may break them or cause them to chip. If you are in need of an extraction, but you wait to have it performed, you may experience more problems or issues with your other teeth. Delayed care can lead to serious issues and complications. Once you have had an emergency extraction performed, you will need to allow the area to heal for one or two days. The recovery time will vary from patient to patient. You should always follow the information provided to you by your dentist. If you have a dental emergency you may decide to head to the emergency room to receive care, but ERs are not equipped with the dental tools or knowledge to help you and perform a procedure to alleviate pain. If you do go to the ER, you will find that the physicians can only look at your mouth and provide you with some pain relief until you can get to your dentist’s office. You would be better cared for at a local Miami emergency dental office or urgent care dental center. Here, the dentist will be able to perform the procedure you need to alleviate any pain you may feel. There are times when it makes sense to visit the ER. Those times include when you have fallen down, sustained head trauma, were in a car accident, sustained a sports injury, or your jaw is broken. If you are experiencing pain and you cannot find or get to a 24-hour dental emergency clinic, then you should call our free service. We are open 24/7 and have staff waiting to find a local dentist near you that can get you in and out of pain asap. Call Emergency Dentists USA now! We do recommend that you take some time to check with your local dental society in Miami to verify any licenses and certifications of a new dentist that you plan to visit. This is an important step because your health is a serious matter. You should check the Florida Department of Health License Verification Search and the Florida Dental Association.